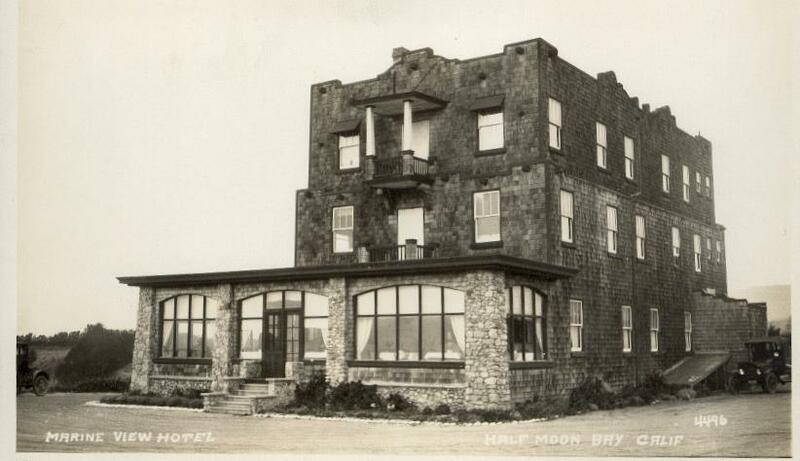 By 1934 Prohibition had ended, and now that it was legal to drink booze in Half Moon Bay roadhouses, people stopped coming to the Coastside. Instead attention turned to the Bay Meadows Race Track in San Mateo that had just flung open its gates– and to make things sweeter, a rich Burlingame car dealer was about to purchase Seabiscuit, the famous super-racehorse that was going to help distract people’s minds from the doldrums of the Great Depression. There was a real drought at Moss Beach where generous shots of liquor had dried up at the Marine View Tavern, former vaudevillian Billy Grosskurth’s seaside roadhouse. Billy was a toe tapping piano player, all show biz, and proud of his talent. He’d had some success traveling with roadshows, too. When his traveling days were over Billy managed a live theater in Oakland, part of an amusement park with “girlie productions”, thrilling roller coaster rides, a swimming pool and caged animals, including a bear called “Hi”. One of the “girlies” may have been at the center of a lawsuit filed against Billy. He had pressed one of the young ladies–against her better judgment– to go down the “Joy Laundry”, a giant slide. Finally she did and like a self-fufilling prophecy, she was injured, thus the lawsuit. That was just one of the lawsuits Grosskurth was dealing with when he decided to get out of town. He knew about the Ocean Shore Railroad and the little beach towns that were popping up on the San Mateo County Coastside. 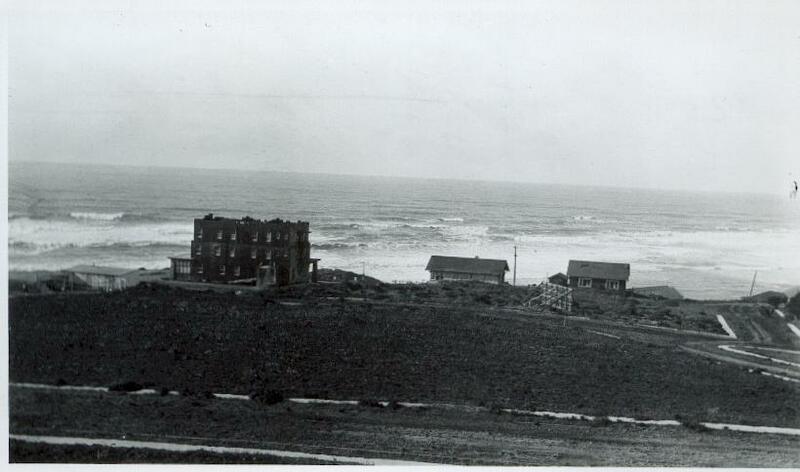 Friends said, “take a look, there might be a good investment for you.” He did and learned that the 20-room Marine View Hotel at Moss Beach was for sale, fell in love with it, and purchased it about 1915. And it was a good investment. During the heady days of Prohibition, Billy’s fingers rolled across the piano keys as he entertained the politicians and silent film stars who wandered about, drinks in hand. Outside it was dark and on the reefy beach below it was business as usual for the rumrunners and bootleggers.